CONGRATS BBSD COMPANY ON ANOTHER AMAZING COMPETITION SEASON! 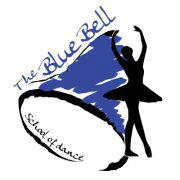 Dance Company is an opportunity offered at the Blue Bell School of Dance for ages 6 through 18. Dancers invited to join the Company are eligible to perform in various competitions, events, and other dance opportunities. We have been competing since 2009 in various competitions throughout the tristate area, including Starpower International Talent Competition, Nexstar Dance Competition, Throw Down Dance Challenge, Backstage Performing Arts Competition, Edge Talent Competition, Cue the Music Dance Competition, Groove Dance Competition, Starbound Dance Competition, Showstoppers Dance Competition, World Class Talent and Access Broadway. Our competition teams continue to receive platinum awards, choreographers awards, technique awards, costume awards, overall title awards and studio awards. These dedicated children dance between five and ten hours per week, in all genres of dance, with an emphasis on ballet technique. If you are interested in joining our competition team, please call the studio to schedule an audition.